As we celebrate Veteran’s Day to honor the men and women who have served our country, we’d like to share news of a spirited American icon that’s giving back more to the military than just a great time in a glass- Southern Comfort. This signature bottling, which is available only on military bases, features a bottle design that resembles the current camouflage patter being used by our troops in Afghanistan. The promotion of these bottles, which hit shelves early November, was kicked off with a donation to the Halo for Freedom Warrior Foundation (www.danabowman.com/halo.php), an organization supporting wounded warriors during their rehabilitation, reintegration and healing process. Here’s to freedom. 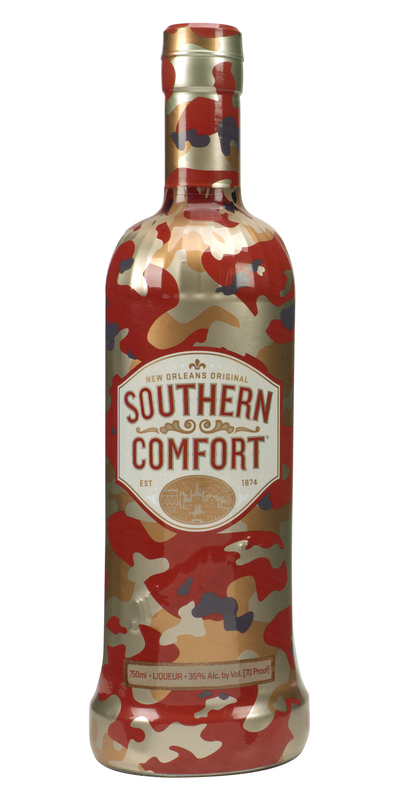 Whether you choose to celebrate it with Southern Comfort, or something else, we can all drink to that.